In this way, the class is able to cater to each student’s pace of learning while at the same time providing the fun of group learning. 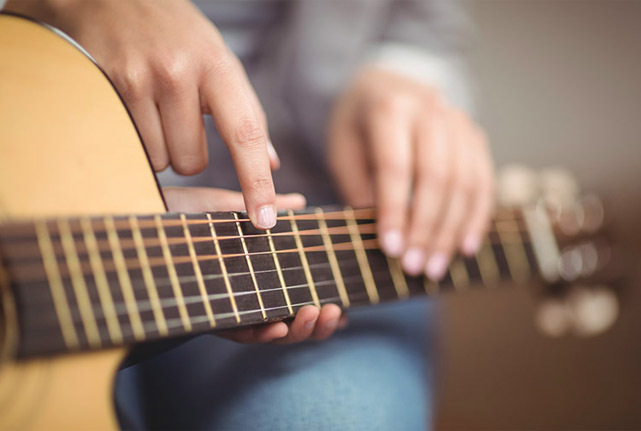 Students can have the option of doing classical or acoustic guitar. 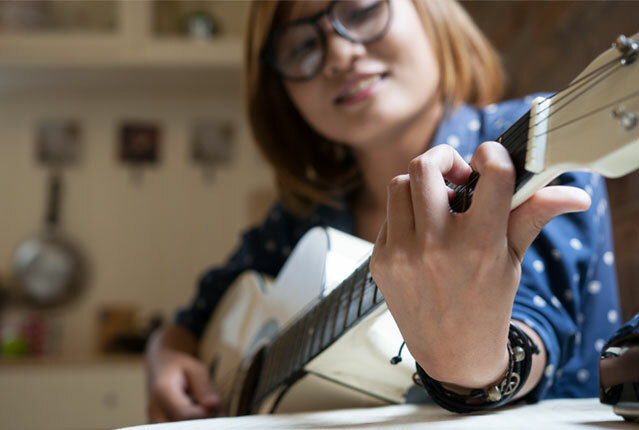 Our trainers will be able to prepare students looking for certification to register for guitar examinations under the London College of Music (LCM). Suitable for children from age 7 to adults, with or without music background. Do I need to have a guitar to start lessons? Yes, you will need to have a guitar before starting lessons as we do not provide the instrument in class. For a younger learner, you will need to look into buying a smaller guitar. At what age can I start learning the guitar? We recommend learners to be about 6 – 7 years old before learning the guitar as the child needs to be able to hold the guitar properly.